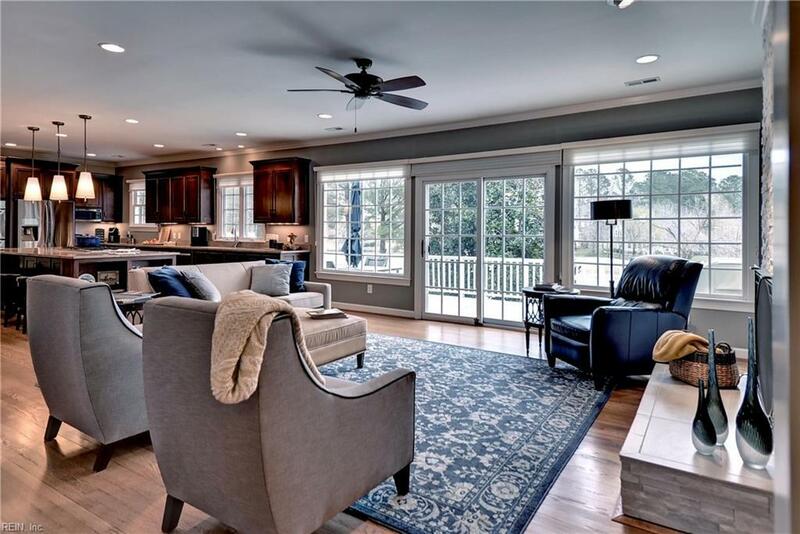 Expect to be impressed with this completely renovated golf & waterfront home offering the perfect open floorplan! 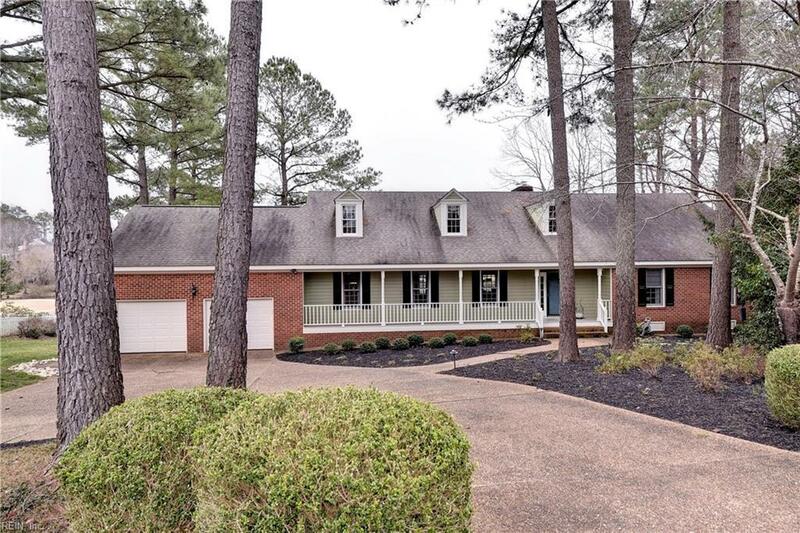 Located on a quiet cul-de-sac on the 11th fairway of the Blackheath course, you will love the beautiful renovations in this impeccable home. 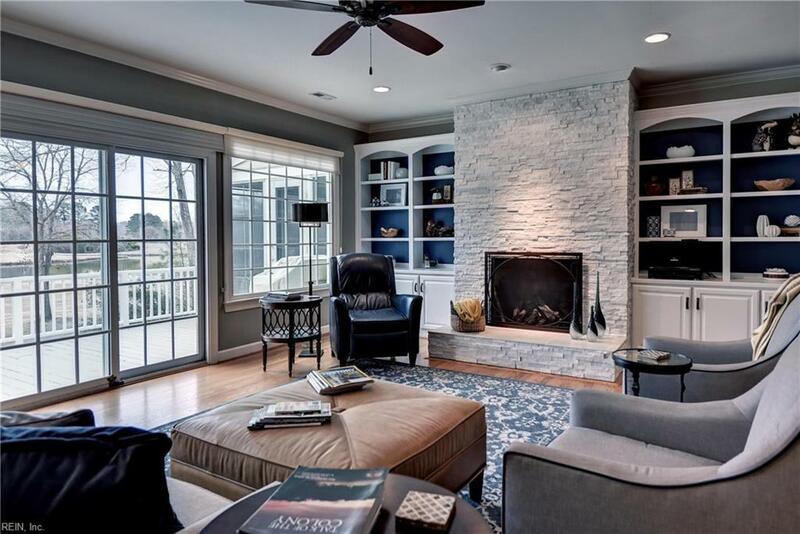 Grt rm offers fabulous golf & water views, built-ins & a gorgeous white stacked stone FP. Expansive kitchen w/ large center island, tons of cabinets & work spaces, dbl ovens, & gas cooktop. Grt rm opens to the elegant living rm & dining room. 1st flr MBR features a large walk-in closet & access to the scrnd porch. Updated En-suite bath w/large tiled shower, soaking tub. BR2 located on the 1st flr w/ adjacent full bath. Expansive bonus rm upstairs updated w/ built-ins. BR 3 (currently used as a home office) w/ an adjacent renovated full bath with granite. LL family room w/ addl entertaining spaces & FP. Great flex space & tons of storage throughout. 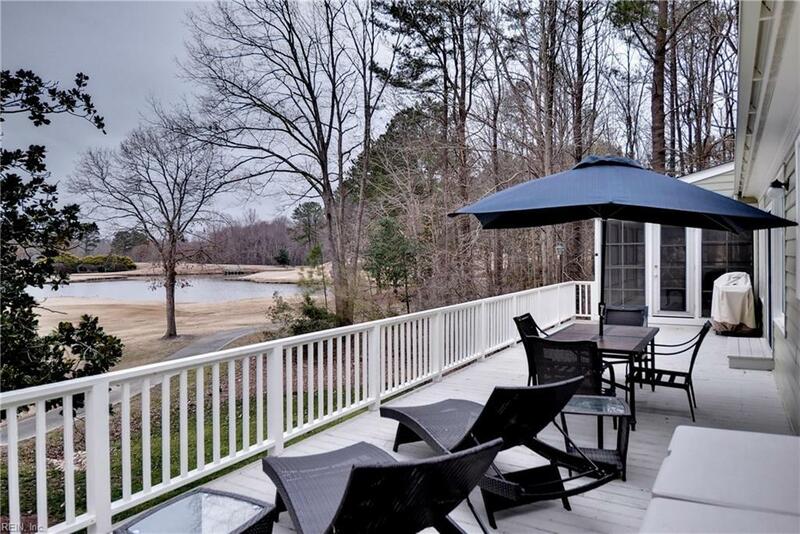 Panoramic golf views from the large back deck & scrnd porch.